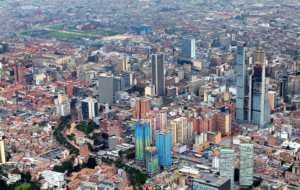 According to Moody’s, Colombia’s banking system is stable, due to the improving domestic economy. The rating agency expects inflation in the country to slow down and oil price volatility to lessen. For anyone considering a banking career in Colombia, this list of top banks in Colombia is a helpful guide on where to start. To learn more, see all our list of financial institutionsCompaniesLists of the main players in corporate finance. We've got lists of the most important financial services companies, banks, institutions, accounting firms, and corporations in the industry. Browse these guides to prepare for a career in financial services and start networking today to accelerate your career. Founded in 1870, Banco de Bogota was the first of commercial banks in Colombia. The bank operates through Personal, Premium, Small and Medium Enterprises, Microfinance, Official, Social, Corporate, Business, and Institutional segments. It is headquartered in Bogota and employs around 40,000 people. As of 2016, total assets of the bank were US$28.82 billion and net profit was US$343 million. Established in 1945, Bancolombia provides banking products and services to individuals, companies, and the government. The bank is present in Colombia, Latin America, and the Caribbean region. With around 32,000 employees, it is based in Medellin. The bank conducts its operations through nine segments, including Banking Colombia, Banking Panama, Banking El Salvador, Banking Guatemala, Trust, Investment Banking, Brokerage, Offshore, and Others. It operates 1,274 branches, 5,418 ATMs, and around 226 kiosks. As of 2016, the bank’s total assets amounted to US$65.40 billion and net profit reached US$1.03 billion. Banco Davivienda was incorporated in 1972, operating as one of the commercial banks in Colombia. The bank provides personal, corporate, equity, and international banking products and services. With around 17,397 employees, it is headquartered in Bogota. The bank operates 753 branches and 2,238 ATMs. It serves around 6.6 million customers and maintains a presence in six countries. In 2016, it reported total assets of US$26.17 billion and a net profit of US$883 million. Based in Santiago de Cali, Banco de Occident provides commercial banking and related financial services in the country. Founded in 1965, the bank currently employs around 6,900 staff. It oversees 230 branches in 53 cities, five Payments and Reissues Centers, and 3,800 ATMs. As of 2016, the bank’s total assets were US$12.89 billion and net profit was US$80.12 million. Established in 1956, BBVA Colombia, one of the largest banks in Colombia, provides retail, commercial, and investment banking services. The bank also offers asset management, lease financing, securities brokerage, investment banking, fiduciary and custodial, insurance, and real estate services. With 5,583 employees, it is headquartered in Bogota. It is present in 123 cities and municipalities, operating 106 service points and 1,339 ATMs and serving around two million customers. As of 2016, the bank’s assets totaled US$18.60 billion and net profit amounted to US$184.65 million. Founded in 1920, Banco GNB Sudameris provides commercial banking services in Colombia and Paraguay. In addition to its regular services, it also offers guarantees, financial leasing, financial intermediation, broker services, and other banking services. It currently employs 2,500 individuals and operates out of Bogota. In 2016, the bank posted total assets of US$9.44 billion and a net profit of US$75.32 million. Headquartered in Bogota, Banco Popular Colombia operates as a subsidiary of Grupo Luis Carlos Sarmiento Angulo LTDA. Established in 1950, the bank provides various banking products and services to individual and business customers in the country. It currently employs around 3,744 staff and manages 1,739 branches. As of 2016, total assets of the bank were US$78.23 billion and net profit was US$49.53 million. Incorporated in 1976, Citibank – Colombia S.A. operates as a subsidiary of Citibank Overseas Investment Corporation. In 1991, the bank changed its name to Citibank – Colombia S.A. from Banco Internacional de Colombia. Based in Bogota, the bank provides financial services to individuals, communities, institutions, and SMEs in the country. It specifically offers financing, investment, insurance products and services, financial advisory services, liquidity management, treasury, payment and collection, and international trade and foreign exchange services. Scotiabank Colombia was founded in 1986. The bank offers deposits, loans, and capital market products to corporate and commercial customers in Colombia. The entire group employs around 88,000 employees and serves 24 million customers. As of 2016, the group’s total assets of amounted to US$915 billion and net profit reached $8.2 billion, whereas the total assets of the Colombia branch were US$11 billion. 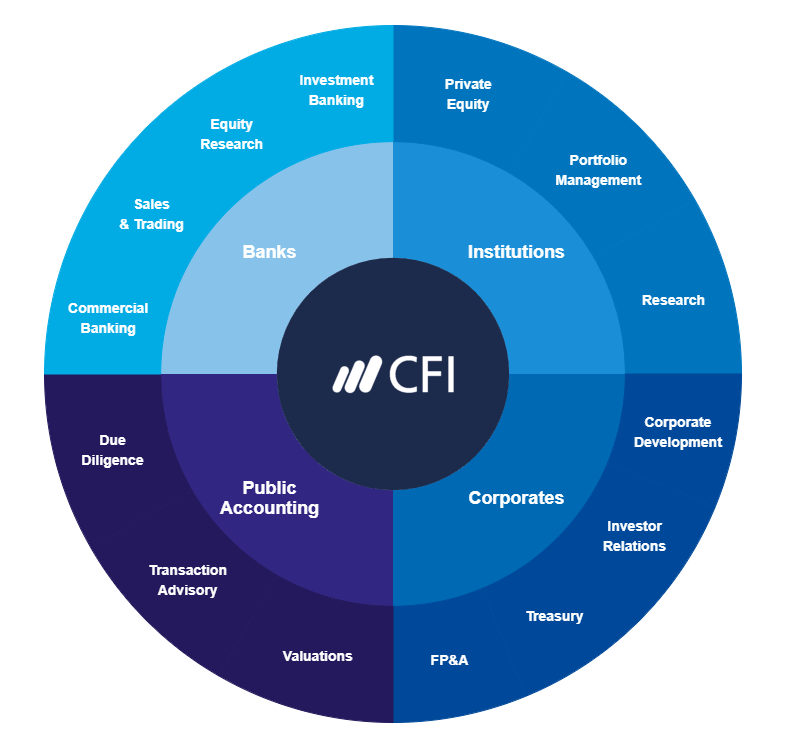 This has been CFI’s guide to the top banks in Colombia. For anyone looking for a career in banking, this list is a great place to start your networking. You may also want to consider the Financial Modeling Analyst DesignationFMVA™ CertificationThe Financial Modeling & Valueation Analyst (FMVA)™ accreditation is a global standard for financial analysts that covers finance, accounting, financial modeling, valuation, budgeting, forecasting, presentations, and strategy. to help boost your career.